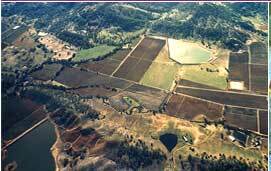 Usibelli Vineyards are small, family-owned vineyards set in the heart of Napa Wine Country. Located just 15 minutes from St. Helena, our vineyards grow a variety of grapes to supply small and large vintners throughout Northern California. Please browse our web site to learn more about who we are and what our vineyard facilities provide.